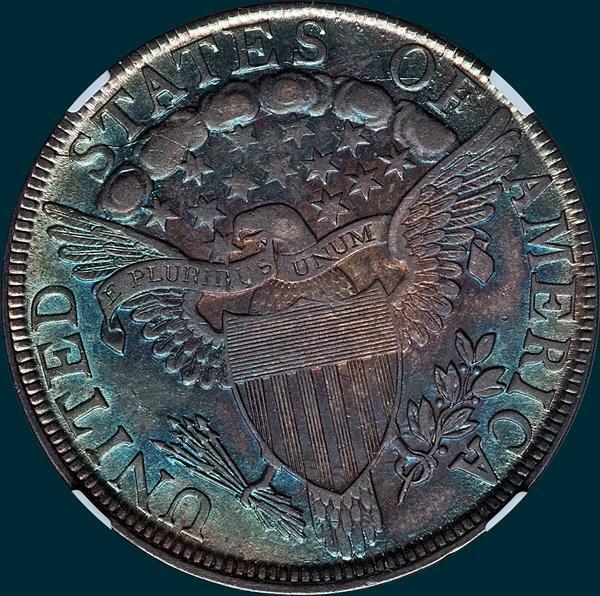 There are but three MS coins currently certified by the services, with the Pogue/Hawn specimen being finest. 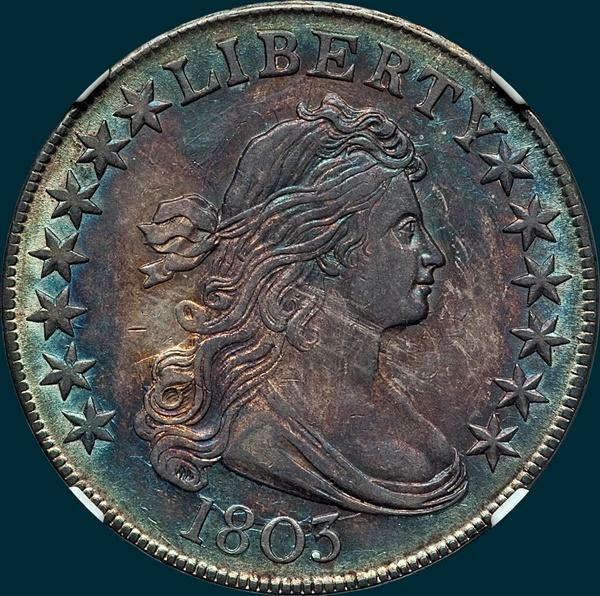 The small 3 variety is the toughest 1803 variety, with only one die marriage being used, but it is somewhat available in most grades below MS. Variety Attribution: Obverse-Stars are large and flat. Star 7 and 8 are close to L and Y. Date has a small 4 with no upright serif on top of crossbar. the 1 close to curl but does not touch. there is a die crack through tT that progressively gets heavier and exstends to hair.